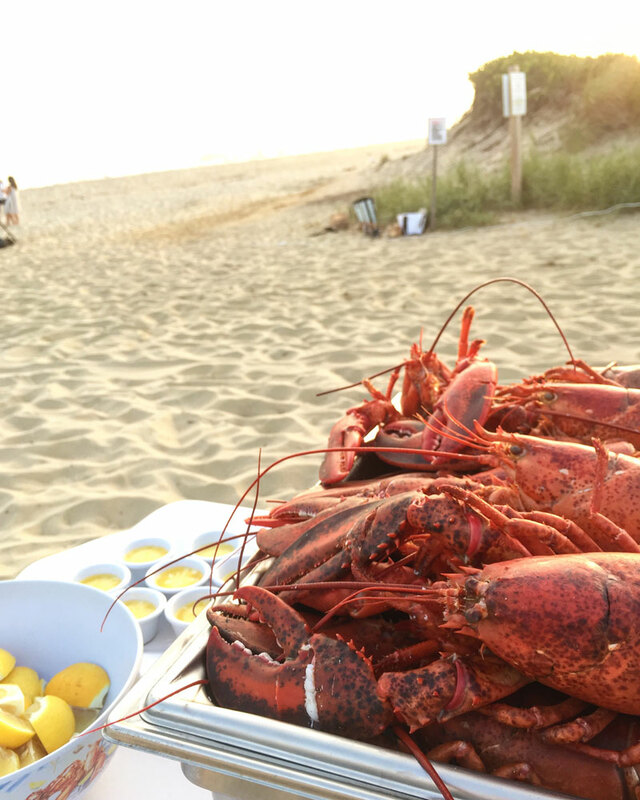 No summer on Nantucket is complete without a clambake on the beach. 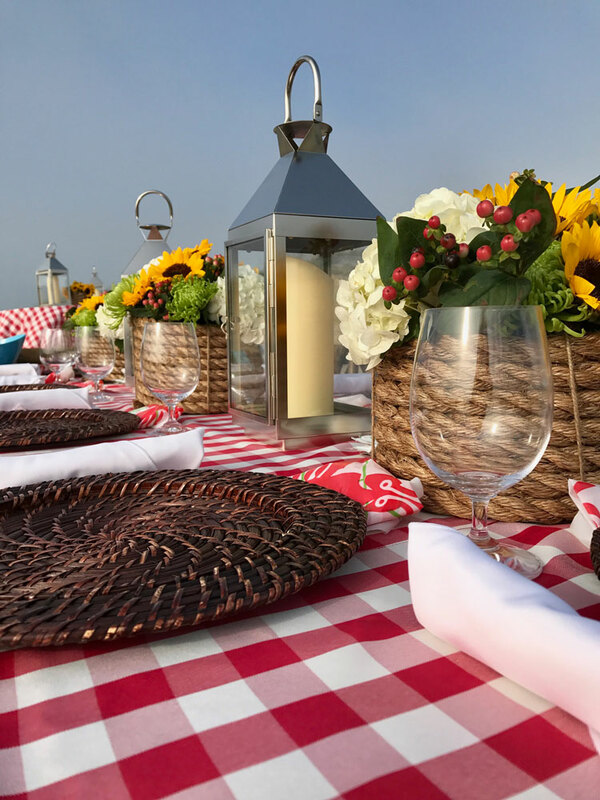 “No matter how you present it, a clambake is so much fun,” says David M. Handy, founder of David M. Handy Events, a full-service event design and planning company. 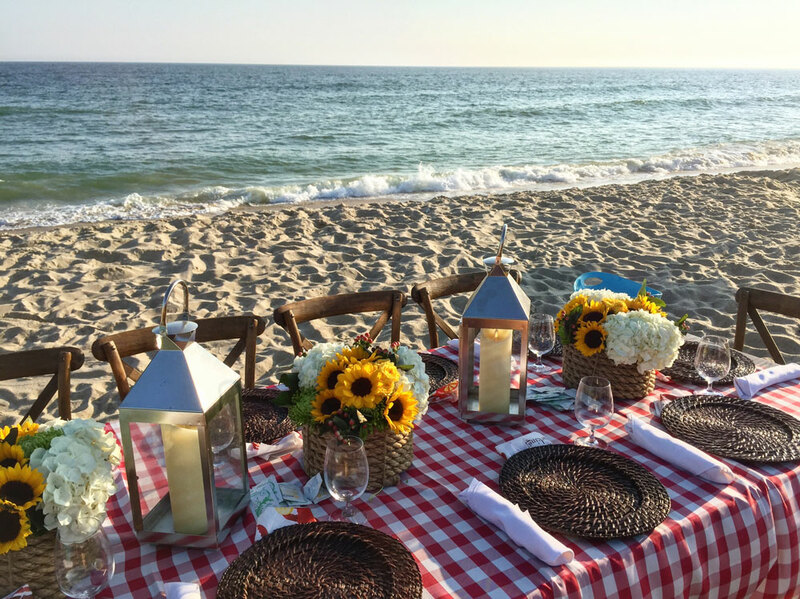 Handy, who designs everything from weddings to private events at residences on the island and in Boston, is no stranger to a clambake, typically a casual meal of lobster, clams, potatoes, and corn on the cob cooked in a special pit dug in sand. Handy advises that the following special touches can elevate the experience for guests. Greet guests with a glass of rosé or Champagne as they arrive and enjoy hors d’oeuvres that include a raw bar filled with fresh oysters, shrimp cocktail, and littleneck clams. 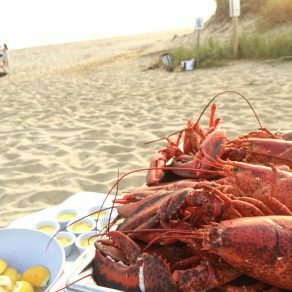 For the seated dinner, Handy pairs juicy lobsters and steak, served on individual plates, with a big, bold Cabernet or oaky Chardonnay. An array of family-style side dishes, such as green beans and a vibrant tomato, pepper, and mixed lettuce medley using local produce from Bartlett’s Farm or Moors End Farm, add further decoration to the center of the table. Handy goes for a cohesive-eclectic look by incorporating different colors, textures, heights, and dimensions into the tablescape to add interest. 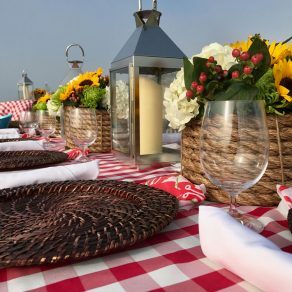 On a long bare wood table, he mixes and matches napkin patterns, such as gingham with plaids or stripes with polka dots, and chooses various platter and bowl sizes. 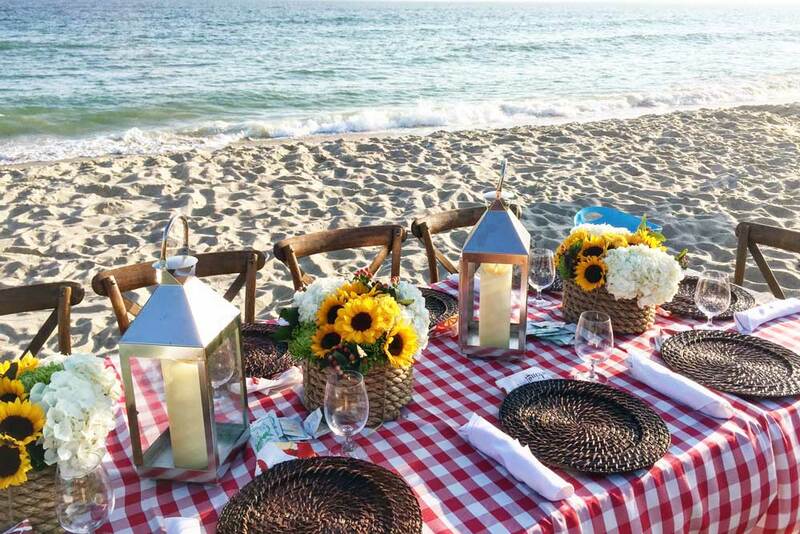 It’s perfect for a beachy setting. Handy prefers to break up couples and assign seating for a more mix-and-mingly kind of crowd conducive to the festive clambake. He suggests using shells as place cards to bring in an element of the ocean. Utilizing the area’s abundant hydrangeas in whites, light blues, and pinks is a no-brainer. 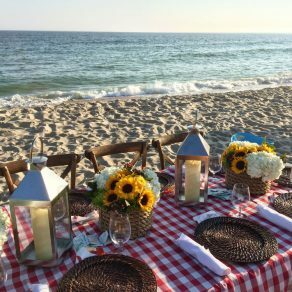 Handy places multiple arrangements in Nantucket baskets (locally weaved baskets) all the way down the table and adds white pillar candles of varying heights inside glass hurricanes with sand and shells or starfish. Help your guests freshen up with finger bowls, lemon wedges, and cloth napkins at each place setting. Another nice touch: have the service staff bring out hot towels.